Powertech’s High Current Laboratory offers independent, third-party evaluation of the thermal performance and fault withstand of electrical equipment. The lab performs long-term aging tests to simulate lifetime performance. Assessments are made through heat run, current cycle, and short-circuit testing at high-current levels and low voltages. Equipment tested includes all types of current-carrying components in electric distribution and industrial power equipment. The laboratory specializes in evaluation and failure analysis of high-current components including connectors and fuses, utilization testing of energy meters and storage batteries, and machine insulation testing of stator bars and coils. 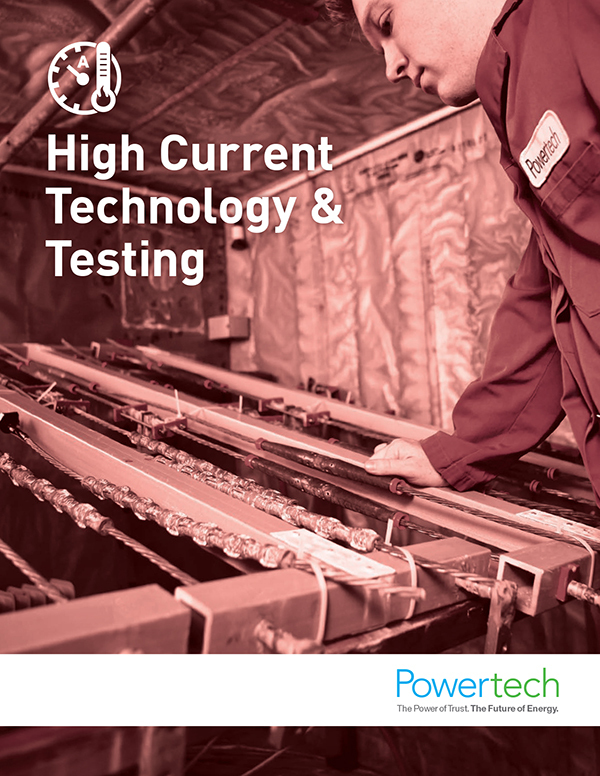 In conjunction with Powertech’s High Voltage Laboratory and High Power Laboratory, and with on-site access to mechanical, chemical, and materials testing labs, the High Current Lab offers complete test packages according to CSA, IEEE, ANSI, and other standards as well as non-standard tests. Frank, R. & Morton, C. (2006). Comparative corrosion and current burst testing of copper and aluminum electrical power connectors. IEEE Publication.